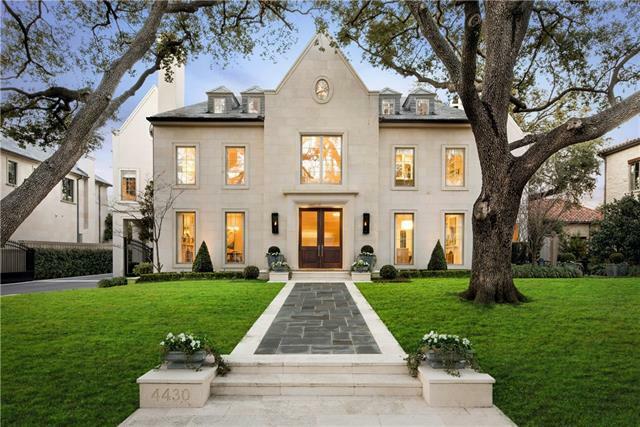 "Prominent property atop a generous 100' lot in the prestigious 4400 block of Bordeaux. 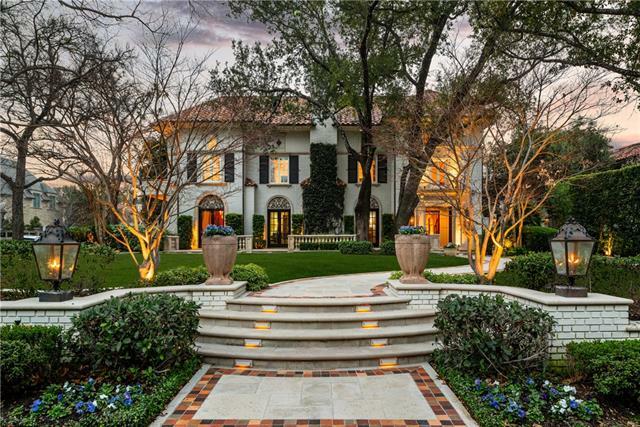 Gentle terrain and specimen oak trees surround this Mediterranean residence. 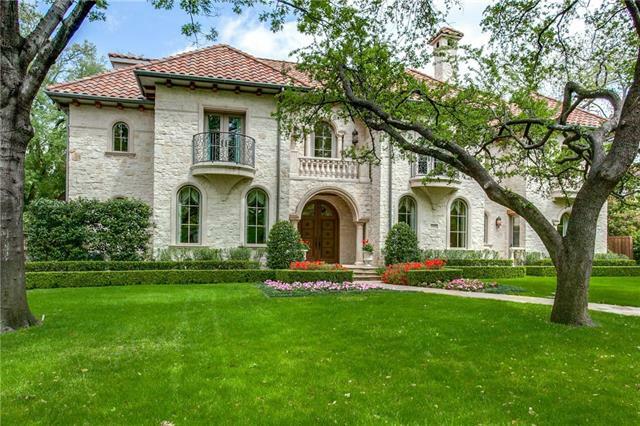 Stone facade and clay tile roof foreshadow quality inside. Wolf SubZero appointed kitchen, granite surfaces, comfortable Keeping Room with fireplace, Great Room with vaulted ceiling and fireplace. LR and DR flank foyer. Study and pool bath share portico with den. Guest Suite on 1st floor! Master plus 3 suites on 2nd floor. Master with"
"Old Highland Park, the 1st installment, overlooks scenic Lockart Park on a very generous 113 x 200 corner lot. Beautifully restored and expanded to meet today's needs. Master Suite surveys grounds, and architectural pool and spa. Multiple living areas, bedrooms, sweeping front porch, porte cochere and garage with game room-quarters make for an exceptional house. 72 specimen trees curated by owner adorn the landscape. See Agents for tree list. 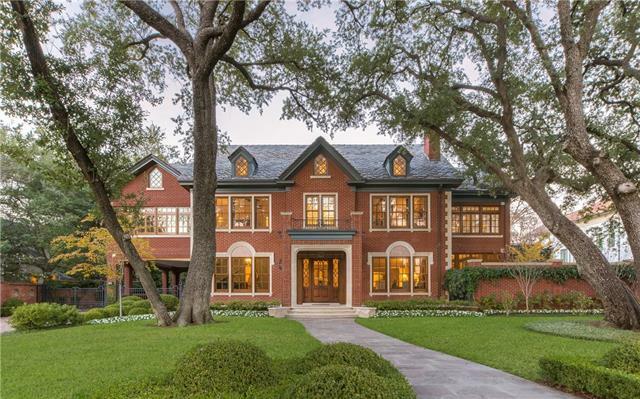 Katy Trail, Knox, HP pool and Lakeside Park are only "
"Stunning 1915 Prairie-style historic home, completely renovated and expanded in 2011 by Robert Hopson. 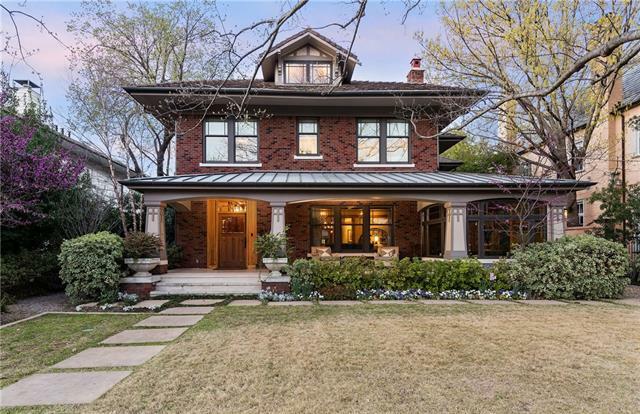 Nestled on a 70 X 226 lot and located on one of Old Highland Park s most coveted streets, this home has fabulous Craftsman features and impeccable finishes. Fantastic layout designed for entertaining. Chef s eat-in kitchen features Wolf & Subzero appliances. Beautiful Master Suite includes a balcony overlooking the lush backyard and pool by Pool Environments. 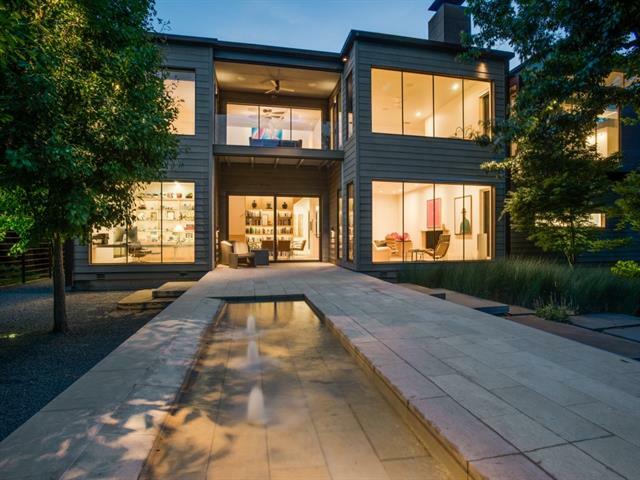 Huge game room doubles as a 5th"
"Contemporary new construction masterpiece in the heart of Highland Park built by Robert Hopson and architecturally designed by Mark Domiteaux. 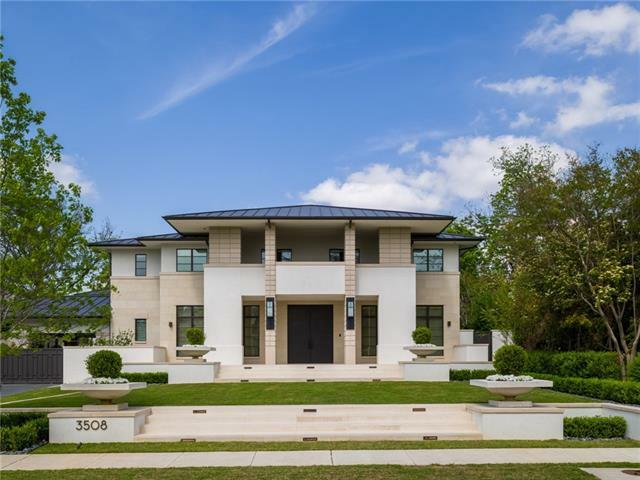 This one-of-a-kind home has an ideal floor plan for luxury living and entertaining with sophisticated and handsome finishes streaming full of natural light. Featuring two kitchens, first floor guest suite, private study, two game rooms and workout area or bonus room. 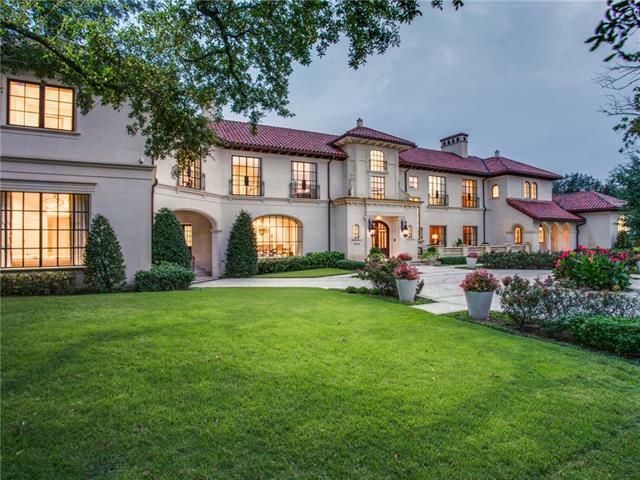 Serene outdoor living area with covered patio, built-in grill and resort like pool with w"
"Located in one of the most coveted blocks in Highland Park, this stately traditional home offers architectural charm with the conveniences of today s lifestyle. Many windows allow for an abundance of natural light highlighting well-appointed living areas and handsome hardwood floors throughout. The kitchen is updated with stainless steel and granite countertops accented by a crisp white backsplash. An elevator is one of many wonderful amenities. 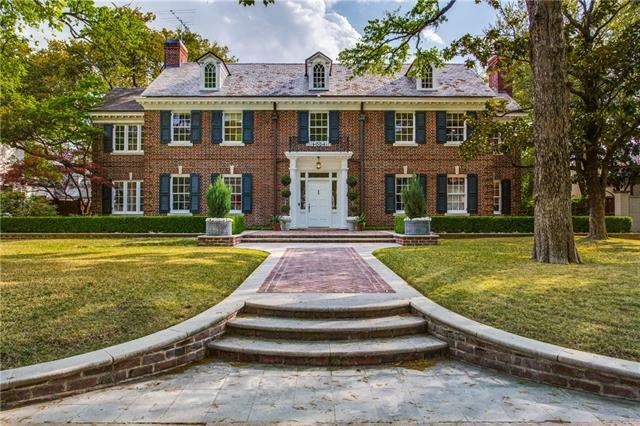 With plenty of magnificent trees, a beautifu"
"3212 Dartmouth is one of those rare homes- it s in Highland Park but in a world unto itself. 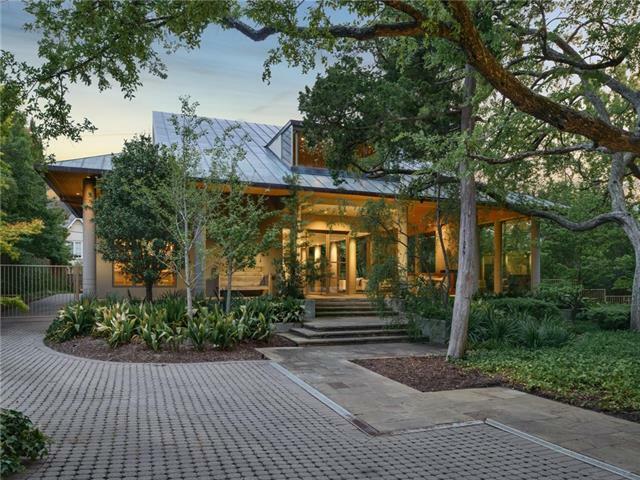 Set on a very private double lot, this art collector and car enthusiast s home has amazing provenance. 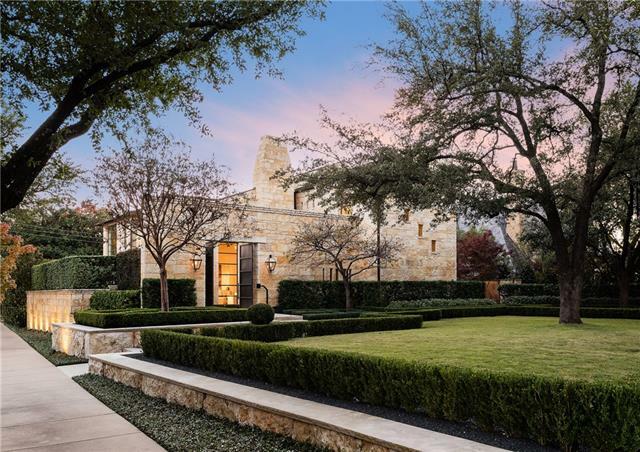 Designed by Frank Welch and rethought by AIA award-winning architect Max Levy, the home reflects a sophisticated and modernist Texas sensibility. 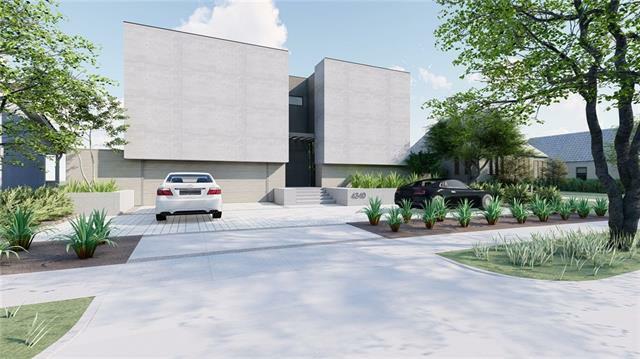 Hearty construction materials are contrasted with smooth and sleek gallery-like interior finishes accented with superb art lighting and an abundance of na"
"Unwind in style in this elegant 3-story home in the coveted French streets of Highland Park. 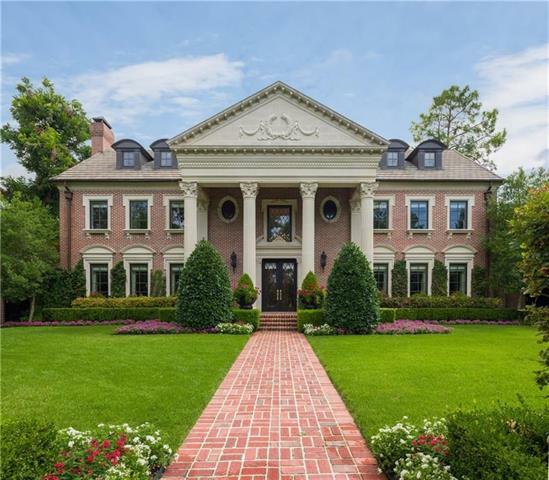 Impeccably updated with the finest amenities, this home offers an elegant setting for entertaining while maintaining an intimate feel. Chat with the cook at the wide Calacatta marble island in the stunning kitchen or relax by the fire in the adjacent breakfast room and morning room. 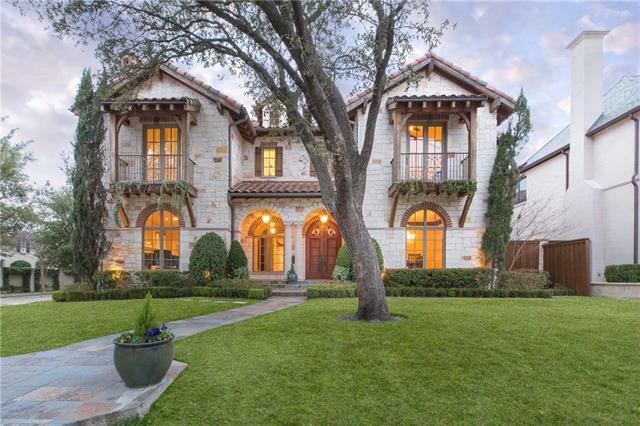 For privacy, retreat to the master suite with FP, sitting area, and balcony plus two dressing areas, each with its own walk"
"Prestigious stone Mediterranean residing at the corner of Cowper & Dartmouth on a 70 ft wide lot. Built by Cresswell Custom Builders and thoughtfully designed by C.A. Nelson architects. 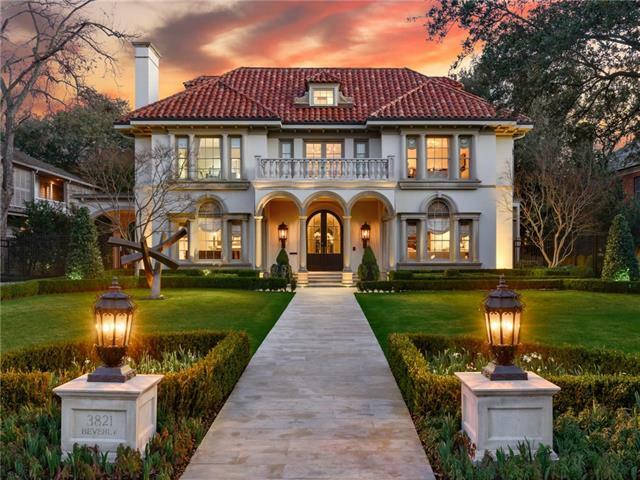 Details include a barrel tile roof, Pella windows & doors, Groin vaulted ceilings, hewed timbers, hardwood flrs, 4 FP, climate controlled wine room for 400+ bottles. Entertaining made efficient by the professional chefs kitchen, and a perfectly positioned butlers pantry. 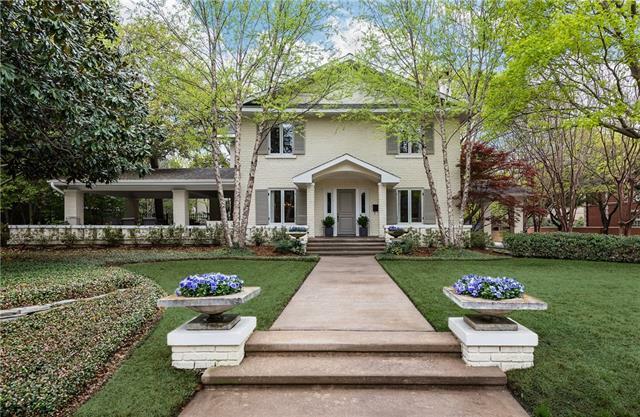 Private Master suite with a separate sitt"
"Situated on a .46-acre private, treed lot in old Highland Park, this stately white brick traditional home built in 1916 is updated for modern living. 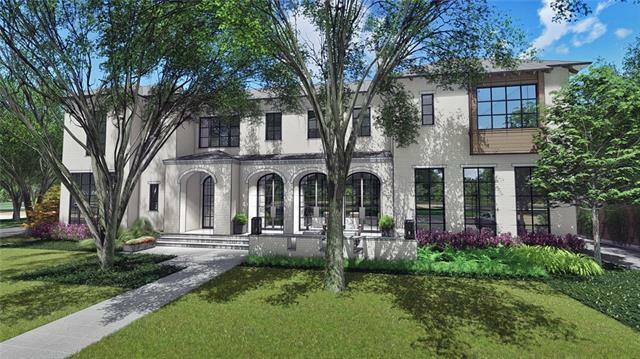 This ideal location is one of Highland Parks most desirable addresses, an is perfect opportunity for a custom remodel or new build. 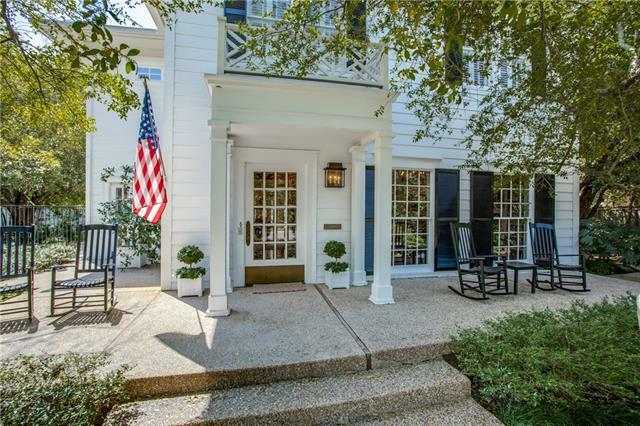 The home has 5bdrm, including spacious first floor master suite, w large closets and baths. The study and other first floor corridors feature antique brick flooring which complement the original hardwood flooring in t"